Allergies Relief Medicine | Oral Naturopathic/Homeopathic Treatment Medication. 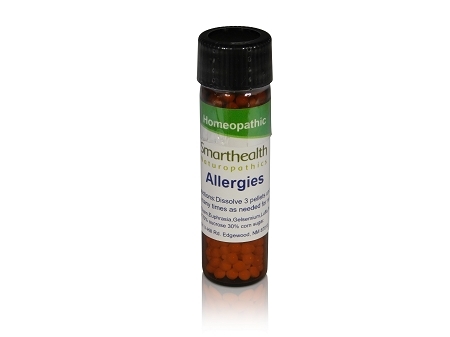 Buy Naturopathic Allergy Medication At Our Online Store. short term relief of symptoms of saesonal allergie's. Runny, stuffy, sneezing, red burning itching eye's and decompression. Starts to work in 12-15 min. No drug contradiction. Works great for grass's,pollen's mold's,rag weed's, flowering plants & tree's. Works great for all zones. Safe for children and people of all age's. No sleepless nights. Non-drowsy. For indoor & outdoor allergies. I developed this formula for myself out of the need for a allergy relief supplement that worked and most importantly, did not cause sleep loss, or nervousness. In addition to this formula I take minerals (Trace minerals research.) out of Utah, I take these minerals year round 4 tabs a week, but when the heavy part of allergy season hits I up that to 3 tabs twice daily, the minerals control how long my allergy season will last , no longer then 12 day's so far, with out minerals it usually lasts for about 4 weeks. The homeopathics control the allergies and the minerals reduce the duration of the allergy season. If I had to put a number on it I would say that these two things control my allergies at about 95% over not taking anything at all! And I have the peace of mind of knowing that I'm taking all natural products and no Pharmaceuticals. You can find Trace minerals research online , you can get them in liquid form (15 drops during allergy season per day .) or you can get them in tabs. These statements have not been evaluated by the FDA. This product is not intended to diagnose, treat, cure or prevent any disease. Our pellets are lactose free made in a FDA supervised laboratory using state of the art manufacturing methods. non-addictive with no negative side effects. Inactive ingredients:70% sucrose 30% Corn sugar.Active ingredients: Cham, Euphrasia, Gelsemium, Luffa, Natrum muriaticum, Pulsitilla,Zincum Met. Non-allergenic pellets. Cleared my allergies right up with in 15 mins. I think I'll be trying the minerals next. I haven't tried it with the minerals yet but it seems to work pretty well without them and I like knowing I'm taking something natural.